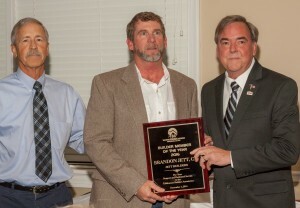 The Tallahassee Builders Association takes great pride on choosing their recipients of the Builder of the Year Award. When we look back at the builders who have won this award over the years, we quickly see that they are professionals who have made a profound difference not just in our industry but also in our community. As a Builder of the Year we look for those that stand for professionalism and honest, fair dealings with their suppliers and their customers. This year’s Builder of the Year clearly fits that mold. As a successful custom home builder and remodeler in our area, Brandon Jett of Jett Builders has been in business here locally for many years, and his integrity in business made him a natural to serve on local Board of Directors. And in 2016, he stepped up by taking on the role of Secretary mid-year and now is our acting Treasurer. Brandon not serves his association but he serves his community both here and abroad with mission work in Third World nations where he has lead delegations to build homes for the needy. 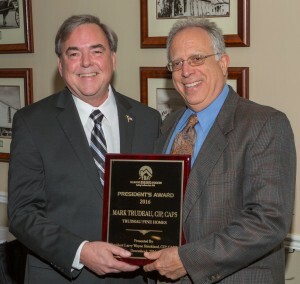 The City of Tallahassee Natural Gas Utility is a proud sponsor of the TBA Hall of Fame. Each year, the TBA adds one member to a list of elite individuals who have made significant and lasting contributions to the local building industry. Selected by the past recipients… which means they have won the admiration and respect of their peers, and are richly deserving on this honor, the 2015 winner was local associate member Garth Easton of Builders FirstSource. 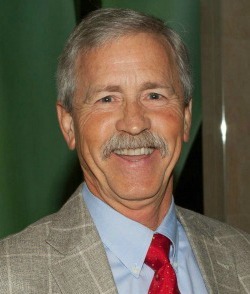 Mr. Easton has served on the TBA Board of Directors for over 15 years and has been a member for over 20. 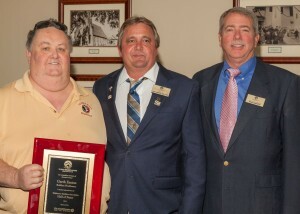 As a member he provided valuable support for one of our longest running special events – the Saltwater Fishing Tournament and has been instrumental in sponsoring events from the Parade of Homes to the Golf Tournament. And perhaps most significantly, he has been a friend, a mentor and dedicated supporter of the association through his commitment to serve the community. 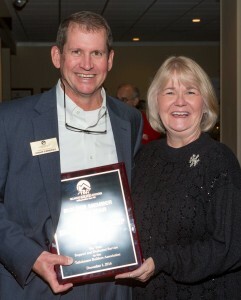 The Tallahassee Builders Association honors an Associate each year who has shown the highest level of commitment to the association. This year’s richly deserving recipient is Philip Pomeroy of Prime Meridian Bank. Mr. Pomeroy is serving as our Third Vice President in 2017 but but he has spent many years as a board member and a supporter of the non-dues revenue programs we have created at TBA. Mr. Pomeroy sits on a variety of committees that raise the non-dues income and as a major sponsor of the association he has encouraged his team at Prime Meridian Bank to be involved members.